The International Students and Scholars (ISS) Office has gathered several resources that will be helpful during your HMC career. Please use the information on these pages to make processing requests to the ISS Office.  We encourage you to follow ISS on Instagram @international_mudders for news and updates about programs and other activities. As always, please do not hesitate to contact the ISS Office at dso@hmc.edu if you need assistance at any time. Issued by the government of your country. It is the responsibility of each non-immigrant to hold a valid passport at all times while in the U.S. Stamped or computer generated in your passport by the U.S. Consulate; the visa enables you to enter the U.S. for the time of its validity. This refers to your immigration category, such as F-1, J-1, B-1, etc. This is usually the same as your visa. The small white card which you received upon entering the U.S. The I-94 card shows for how long you are authorized to stay in the U.S. and includes your admission number. It’s usually stapled into your passport. This card is extremely important and very difficult to replace. Keep it safe. You can now access your I-94 Record, via the U.S. Customs and Border Patrol, I-94 website. You may view your record here and it will always be updated upon your re-entry to the United States. A student receives this document when they are accepted to a school. If the student is in their home country, they will present this form to the American Embassy or Consulate in their home country when they apply for F-1 visa status. The I-20 is what determines how long you may stay in the United States as a student. Before traveling abroad, students must obtain a signature from a DSO (Designated School Official). At Harvey Mudd College, the DSO’s are Evelyn Real and Danny Ledezma. Small plastic card issued by United States Citizenship and Immigration Services (USCIS) to show authorization for employment. F‑1 and J‑1 students may work on any of the Claremont Colleges campuses up to 20 hours a week without any permission. Working more than 20 hours on campus is allowed during school breaks (like spring break or summer) only. If you find a job on campus, you will be able to apply for a Social Security Number (SSN). You will need to bring your job offer letter to the International Student Services Office before you apply for the SSN. You will be given a receipt by the Social Security Office when you apply for your SSN. Your hiring department will need the receipt so that you can begin work while the application is pending. You will receive your official Social Security card in the mail within 30‑45 days. Off campus employment should always be discussed with the Designated School Official before beginning. You will need to get authorization to begin employment off campus. SSNs are nine digit numbers that are unique to every person, they typically belong to US citizens and authorized residents. An ITIN is a tax processing number that is issued by the Internal Revenue Service (IRS) for individuals who are not eligible for a SSN, such as a foreign national or nonresident alien, but are required to file certain federal tax or information returns. Like a SSN, an ITIN is nine digits but the first digit will always be a 9 and the second section of the number will be in the range of 70-88. The biggest difference between an ITIN and a SSN is that ITIN’s automatically expire 5 years after being issued and SSN never expire. However, if an ITIN is used for tax filing purposes at least once every five years, it will not expire. California does not recognize the international driver’s license. Bring your home country’s license with you. You will be able to drive using this license for up to 30 days. You will need to apply for a California (CA) driver’s license in the U.S. You can apply for a CA driver’s license 10 days after you arrive through the Department of Motor Vehicles (DMV). It is highly recommended that you wait until you have a Social Security Number to apply for a CA driver’s license. If you choose to obtain a driver’s license without a social security, you will be asked to complete your application by obtaining an AB 60 Driver’s License. An AB 60 license is valid for driving and for state ID purposes. An AB 60 license is not a federal ID and cannot be used for certain federal purposes, such as entering restricted parts of federal buildings. It does not give anyone the right to work, vote, or receive any benefits that the person wasn’t already eligible for. You must register any vehicle you drive through the DMV. You must also maintain valid car insurance at all times. Your insurance company will provide you (the policy holder) with an identification card as evidence of coverage. The card will include the insurance company’s name, address, coverage dates, and policy number. It is wise to keep a copy of this card in your wallet as well as in the glove compartment of your car. The first step will be to request a Sprintax Access Code from International Place (starting in February). Next, you will be required to create an account (if you are a new user), or log into your existing Sprintax account. If you are having trouble accessing an existing Sprintax account, or creating a new Sprintax account, please contact Sprintax directly for assistance. Once you have logged-on to Sprintax the software will ask you a number of questions to customize your experience, and to help accurately populate the documents that may be produced for you. It will also determine if you are eligible to use Sprintax to prepare your taxes, or if you need to use a different type of software (for those considered “residents-for-tax-purposes”). ISS provides complimentary access to Sprintax non-resident federal tax preparation and form 8843 only. A note on State Taxes: Sprintax will help determine whether or not you are responsible for preparing and filing state taxes. If you are directed to prepare state taxes, you may choose to pay Sprintax to prepare your state taxes, on your behalf. Please note that International Place only provides access to Sprintax Non-Resident Federal Tax and Form 8843 Preparation. A note on the “Credit Card” payment to Sprintax: For students simply preparing their Federal Taxes and/or the Form 8843, there will be a field to enter the Sprintax Access Code, which you will receive from ISS. No additional fee will be charged. For an additional fee paid for by the student, Sprintax can also conduct non-resident state tax preparation. Sprintax can also prepare the ITIN application form for an additional fee paid for by the student. Please note that if you already have a SSN, the ITIN application is not necessary. Curricular Practical Training (CPT) is a legal means by which F-1 students can obtain off-campus employment when the experience is considered to be an integral part of the student’s course of study. CPT can take the form of a paid or unpaid internship, practicum, or other experience which is required for the major, or where course credit is granted. The objective of CPT is not financial but is to gain practical experience that is integral to your course of study. Students can use only up to 12 months of CPT during their time at Harvey Mudd. You must have been lawfully enrolled on a full-time basis for at least a full academic year (9 months), currently be in F-1 status, and demonstrate that the internship/experience is integral to your course of study. In addition, you may not have previously used more than twelve months of full-time curricular practical training. You must apply for CPT before your internship begins. CPT Request form (must be signed by your academic advisor) – please email dso@hmc.edu to request form. Make sure you let the DSO know ahead of time that you are planning to do this internship, and you have enough time to work out details with your faculty adviser and get approved before the internship starts. Keep your updated CPT I-20 safe. If you use CPT multiple times, please make sure to save all I-20s. You may need them later if you decide to apply for Optional Practical Training (OPT). Keep track of the amount of time you use for CPT. Get in touch with the DSO if you are approaching 12 months total while enrolled at Harvey Mudd. Practical Training is a legal means by which F-1 students can obtain employment in areas related to their academic field of study for up to 12 months in the US. The objective of practical training is not financial but rather an opportunity to gain practical work experience related to your field of study. Optional Practical Training (OPT) can be done before or after completion of studies. You must have been lawfully enrolled on a full-time basis for at least a full academic year, (9 months) currently be in F-1 status, have completed all requirements to receive degree by the end of the semester, and have not used up more than twelve months of full-time curricular or optional practical training. The application window for OPT opens 90 days before graduation and up to 60 days after your program completion date. However, it is recommended that students apply earlier rather than later because of USCIS processing times. Verification from your advisor stating the date you will complete your program. When you have gathered the necessary materials/information, review your application with the International Student Advisor. Make sure you bring all items listed on the application sheet. Note: Once your I-20 has been endorsed and your I-765 has been forwarded to the USCIS, it is very difficult to withdraw or cancel the recommendation. You will not get a refund of any payments made to USCIS. After approximately 3 weeks you should receive a receipt from the USCIS. The receipt will include a receipt number and the date your application was received. Applications are tracked by using the receipt number, not your name. You can check the status of your application by using the California Service Center’s computer automated system 1.800.375.5283. The best time to call is at night. It will take approximately 45-60 days to obtain your Employment Authorization Document (EAD). If after 90 days from the receipt date you have not received your EAD, contact designated school official (DSO). For E-notification of acceptance of your application, you can fill out a G-1145 form and the USCIS will email/text you within 24 hours of accepting your form. Please note that this does NOT grant OPT status or benefit. You still need to receive the original EAD card to begin working. You may also check your status using your receipt number online with the USCIS “Check My Status” tool. You can receive a job offer before you receive your EAD, but you cannot begin employment until USCIS has issued you an EAD. Travel outside of the country after you have filed your application and before you have received your EAD card can be risky. Please see the OPT travel chart for risk levels and what documents you need to re-enter. You may only be unemployed for an aggregate total of 90 days. This means 90 days only for the whole period of OPT, not just 90 days in a row. You must provide the DSO with the address of your company or organization so that your SEVIS record can be updated. You may also intern or volunteer with a company or organization to avoid being unemployed, but you must still provide us with the contact information for that group. You must leave the country no later than 60 days after you complete your training, which should be no later than 14 months after completing your studies. F-1 students on standard optional practical training based on a bachelor’s degree in a qualified STEM field can apply to USCIS for a one-time 24-month extension of post-completion OPT. The student must have a job directly related to the STEM major and the employer must be registered with E-Verify. Earliest date to apply for the 24-month STEM OPT: No more than 90 days before the current OPT expiration date. Latest date to apply: the application for 24-month STEM OPT must be filed before completion of the current OPT period. Student filed a Form I-765 for the STEM OPT extension. USCIS received the Form I-765 for the extension before the EAD for the original post-completion OPT expired. See the list of majors that are eligible for the STEM OPT Extension (PDF) (the CIP code of your major/s can be found on your Form I-20). Form I-983 must be completed by the student and employer, and must be submitted to the DSO (international student advisor), in order for the new I-20 to be issued. The STEM OPT Extension may be issued for a prior STEM degree obtained by the student. USCIS highly recommends sending transcripts with the STEM OPT application if the extension is based on a prior degree. Please contact your DSO for more information.